Even the most stubborn intrinsic stains can be camouflaged with restorative methods such as bonding or capping (crowning). Bonding applies a tooth-colored composite resin to the surface of your stained teeth and then contours it into the correct shape. 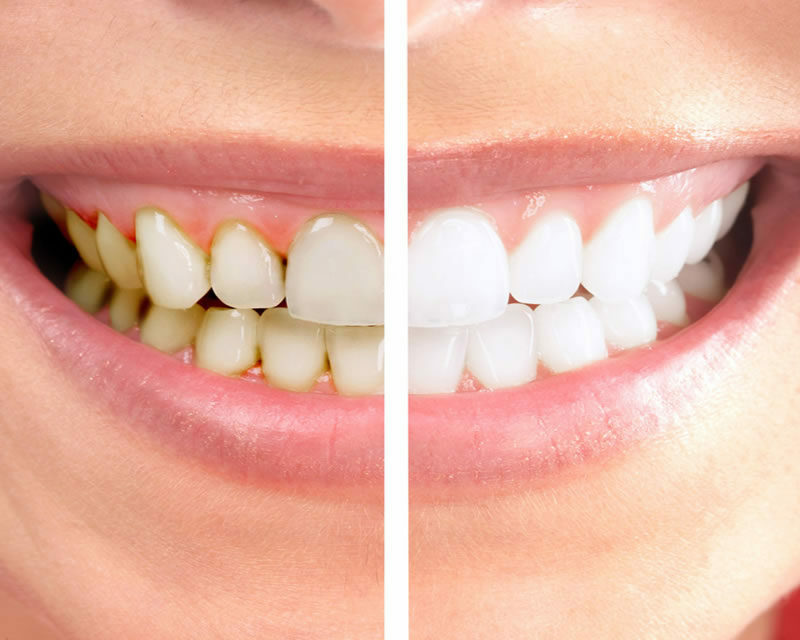 Once the resin is cured, smoothed and polished, the original white color of your teeth is restored. Crowning, on the other hand, involves placing tooth-colored caps on top of your stained teeth, which hides the staining. Your dentist can help you choose which method is right for you. Because these stains are on the outer layer of your teeth – unlike intrinsic – you can usually remove them with whitening toothpastes like Advanced Whitening. These work by gently brushing the surface of your enamel, which allows them to lift stains gradually as you scrub them. If whitening toothpaste isn’t enough, however, see your dentist; professional dental cleanings produce similar cleaning to tackle surface stains, most of which can be removed in this way.